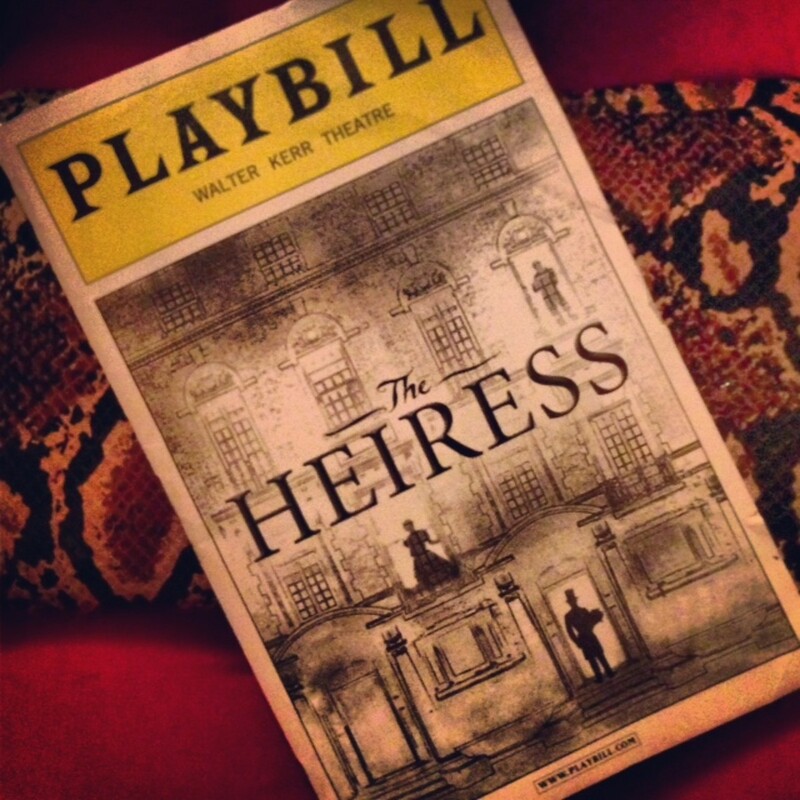 Kat and I saw a performance of The Heiress on Broadway earlier this week and enjoyed it tremendously. Based on Henry James&apos; novel, "Washington Square," the play is a limited engagement boasting a buzz-worthy cast including this year&apos;s Academy Award Best Actress Nominee Jessica Chastain and Downton Abbey&apos;s Dan Stevens. When we arrived at the Walter Kerr Theater, we were greeted with the news that Ms. Chastain was tending to her awards season and Zero Dark Thirty promo obligations and would not be performing that evening. Of course we were disappointed but once the curtain ascended, Jessica Chastain was the furthest thing from my mind. I&apos;d not seen the play before nor the critically acclaimed film, which allowed me to watch this latest staging without the expectations that many (critics) obviously have, especially for the title role. Catherine, played that night by Chastain&apos;s understudy Mairin Lee, won me over from the start with her vulnerability and naivete. I silently cheered her transformation as she discovers the power in confidence and self acceptance. When the final line was spoken, Kat and I gave each other a, "Good for her" nod. If only all women could be so steadfast in their decision to end toxic relationships! The Heiress&apos; last performance is February 10th so if you&apos;re interested in tickets, better act now. Visit theheiressonbroadway.com for more information.